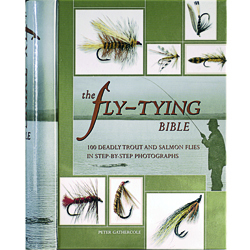 The Fly Tying Bible by Peter Gathercole - An excellent companion volume to the Fly Tier's Beginners book, superbly illustrated by this well known tier and photographer. Hardback. Nice book, great pics and easy to use.